Use this time of year to give, forgive, embrace all people, and show unconditional love to your friends and family. 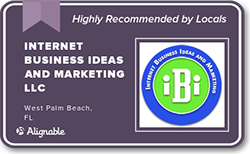 Internet Business Ideas and Marketing LLC wishes you a wonderful holiday season. No matter the time of year, you should have a holiday strategy to increase awareness and revenue. Contact us today to get started.